Author of Shemirath Shabbath Kehilchathah was 85. Funeral is at 11:30. Rabbi Yehoshua Neuwirth passed away last night at age 85 in Jerusalem. He was the author of seminal, monumental, yet practical and user-friendly books on halakhot of Shabbat that were translated into English and can be found in almost every observant Jewish home. His book, Shemirath Shabbath Kehilchathah, has assisted countless Jewish homes in applying the laws of the Sabbath to modern life. Rabbi Neuwirth was born in Germany. In World War II, he escaped with his parents, two brothers and sister to Holland, where they hid for three years in a single room. He was the expert on halakha for Shaarei Tzedek Hospital. 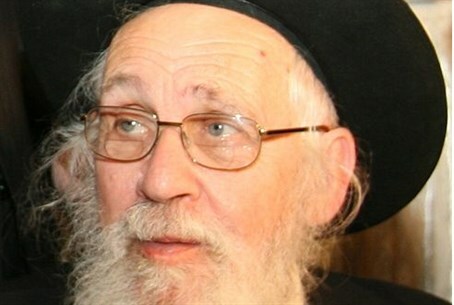 The rabbi was hospitalized in Shaarei Tzedek and his situation worsened in the past few days. His funeral will leave Bayit Vegan to Har Hazeitim at 11:30 Tuesday.